This iPad picture began as a man on a porch playing guitar in a hat. 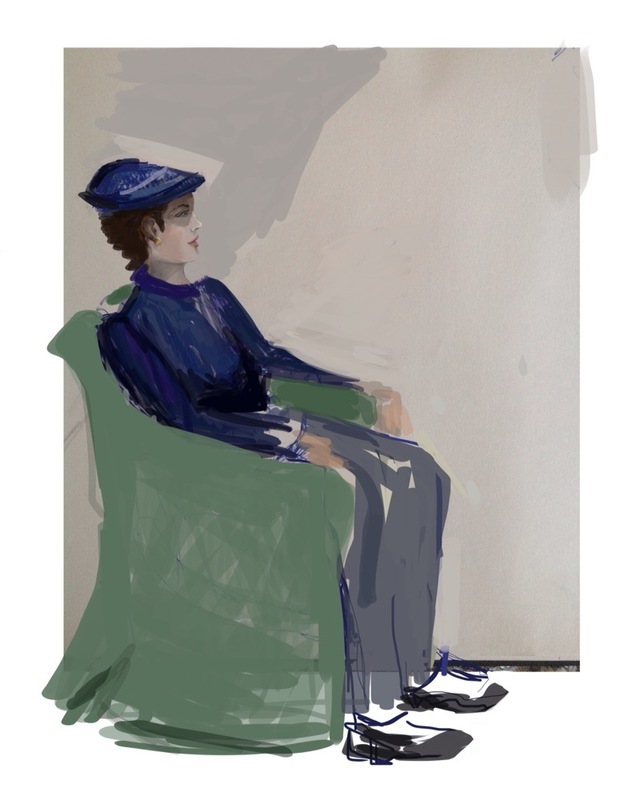 As I drew, it transformed and morphed and ended as a Parisian lady in a sitting room, under the same hat. The chair has a loose cover made of linen. Like in the film ‘The Yellow Rolls-Royce”, the hat remained the same as the owners changed. It’s like a small domestic story of metamorphosis.